The Amish Hardwood Small Legacy Mirror brings a bright accent to any room. This beautiful mirror fully functions to provide you with not only a useful mirror, but an addition to the room that completes the decor. 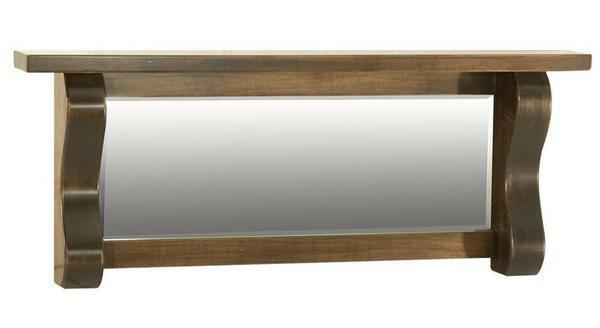 This beveled mirror is surrounded by your choice of premium solid hardwood. Each Amish mirror our craftsmen create incorporates beauty and strength within the design. Review our entire line of Amish Mirrors to find the one that you like best. Call one of our Amish Furniture Specialists today at 866-272-6773 with any questions. We are happy to assist you. 33" x 4" x 14.75"